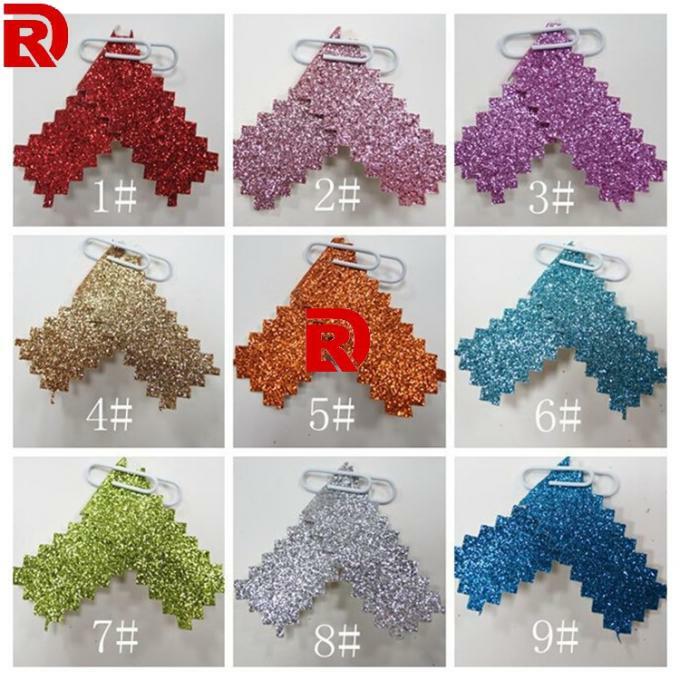 20sheets one opp bag.25packs one carton,the size is 33*24*28cm/carton.the GW is 13kg per carton. It's PU glitter fabric leather ,which has good quality with low price. 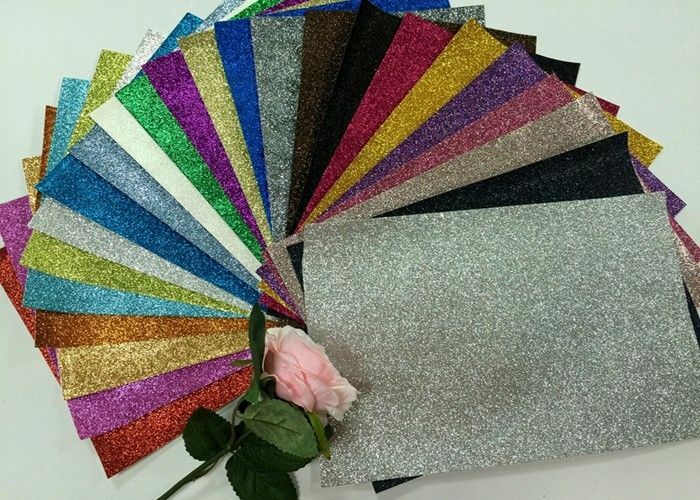 It can be perfectly used for bag, shoes,clothes and decoration .Also,our product have all the colors you want and satisfying price. Also,it is very fashionable as its pattern. We could offer one-stop service, and make you purchase goods with satisfaction but not any risk! Our company was founded in 2005,which has three companies,including two in yiwu city. With 12 year experience, we have enough understanding of produce , and we are confident that we can provide the best goods and service for you! 3. Packing: 20sheets one opp bag.25packs one carton,the size is 33*24*28cm/carton.the GW is 13kg per carton. 6. 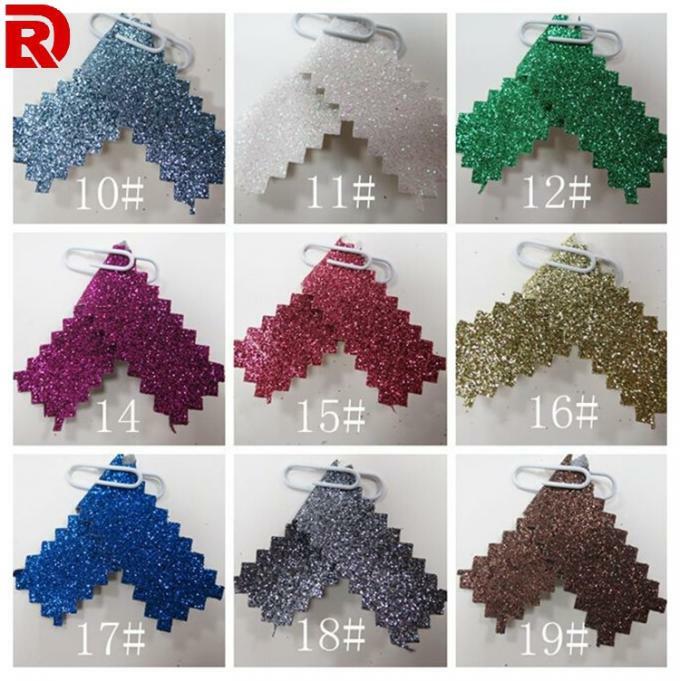 Color: Glitter various ,Multi Color or Personalized Customization. 7. OEM & ODM can Accept. 9. Not much glitter fallen off. the glitter is very strong. 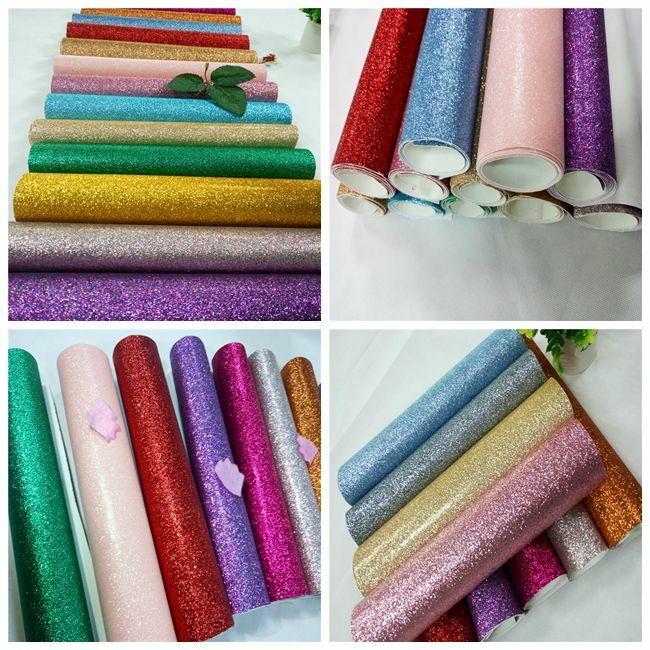 USE DIY,wallpaper,craft,hair bows,bags,shoes,Wedding decoration etc.